All aboard for LEGO® space adventures with Stubble Trouble Emmet and Rex Dangervest on The Rexcelsior! THE LEGO MOVIE 2™ character Emmet has drawn stubble on his face to be more like his vest-friend. But will he enjoy travelling in Rex’s super-awesome sci-fi spaceship? Join Rex in the cockpit or hang out with the LEGO raptors. 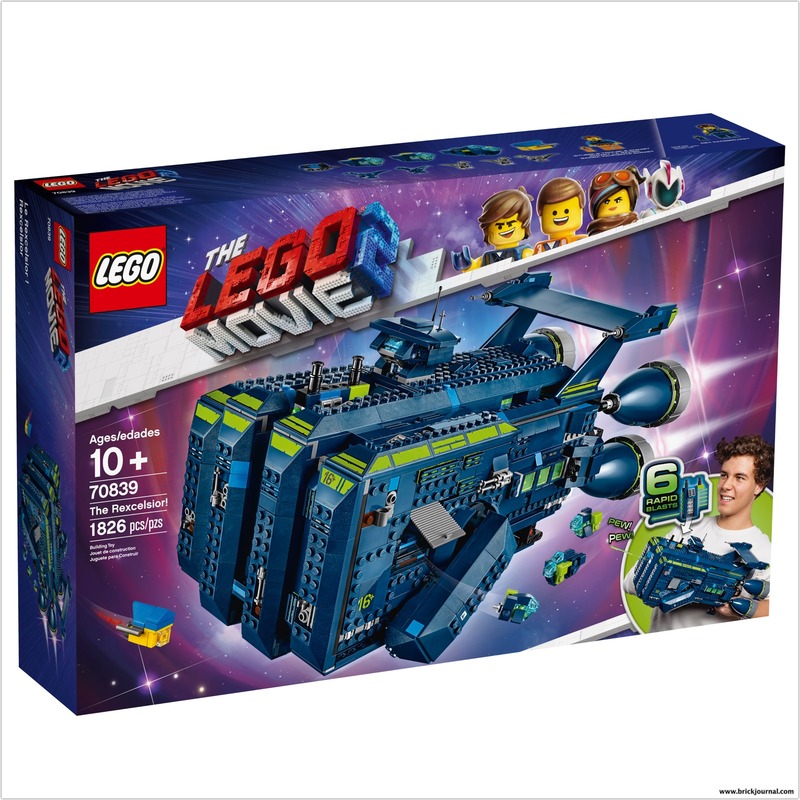 There’s loads to discover with this awesome LEGO set and spaceship from THE LEGO MOVIE 2—just make sure you are ready for enemy attacks. Reload the 6-missile spring-loaded shooter and fire! The Rexcelsior LEGO® spaceship toy measures over 7” (19cm) high, 15” (40cm) long and 8” (21cm) wide.